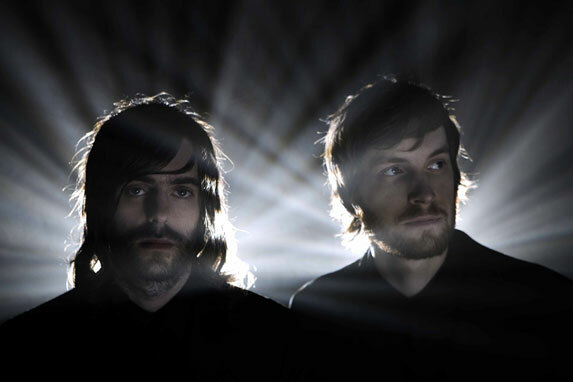 Last night Mink, Mathis and I went to see Ratatat @ Flex, which is right by the Donaukanal. Since it was mild outside, we enjoyed a beer by the canal before heading inside. I heard more English spoken outside of Flex than I’ve heard anywhere since coming to Vienna, which was kind of disorienting at first. I’ve quickly gotten used to assuming that everyone around doesn’t speak English/care to interpret what we’re saying in English, so there’s less of a filter present when we’re talking in public. Obviously, some awkward situation’s gonna arise because of this at some point, so I should try to stay aware of that. When we went inside, the opening guy had already played and left (DJ Elephant Power? Yeah, we hadn’t heard of him either). Flex has apparently vamped up its look in the past couple of years since, according to Mink and Mathis, back in the day it was a dirty hole in the wall where teens went for raves. And now they actually have legitimate bathrooms instead of making people go outside to pee in the canal! Things are lookin’ up at Flex. Ratatat was just starting as we successfully wrangled our way through the crowd of sullen hipsters clogging the coat check line, so we knew we’d have no chance of getting to the very front. Also, everyone in the place seemed weirdly tall for some reason, even to me. We compromised by finding an empty spot next to the sound guy near the back, where we had enough room to dance around to the dulcet tones of Ratatat rocking out. Anyone who’s been to a concert with me knows that I have a weird thing about attempting to get the setlist for the night. I don’t know why this drive is so overpowering. I guess I like having a material reminder of the evening that only a few other people are lucky to have, and it’s the remnants of my adrenaline rush making me do impulsive, potentially embarrassing things. And sometimes it’s also a chance to get an autograph. 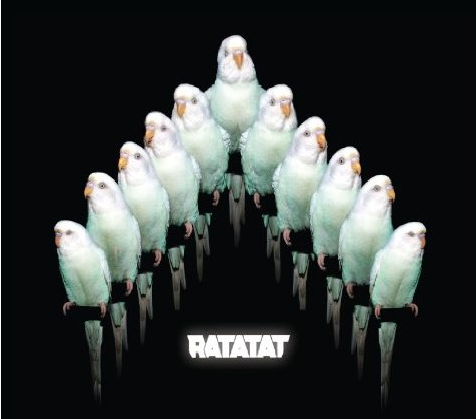 So, no exception for Ratatat. 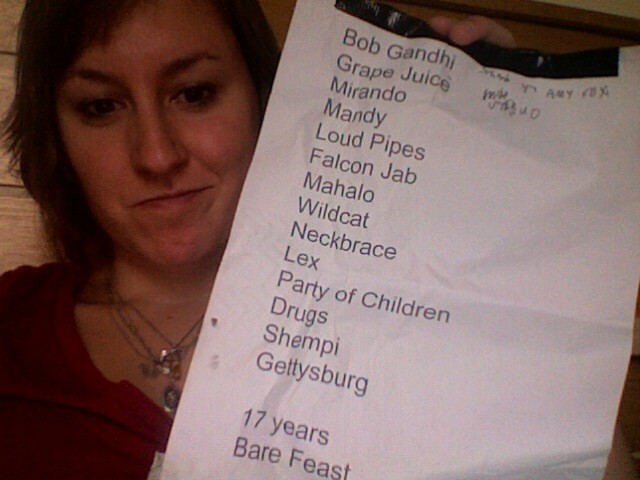 Mink and I ventured to the front, which was not difficult once most of the mob had dissipated, and an equipment guy gave us one of the setlists after mocking us for wanting it (fair enough). A few minutes later Mathis spotted one of the guys from Ratatat, so I went back to the stage and basically yelled that he had to sign my setlist. He kindly obliged, and then asked what my name was. And then he asked if I was American, which I guess is okay under the circumstances, since he was probably expecting some German to come out of the crazy annoying girl. Why would I covet such a random piece of paper, and feel prouder of possessing it than the majority of my belongings? No idea. But I had a great collection of them after two years in Montreal, and I am starting again for my time in Vienna. 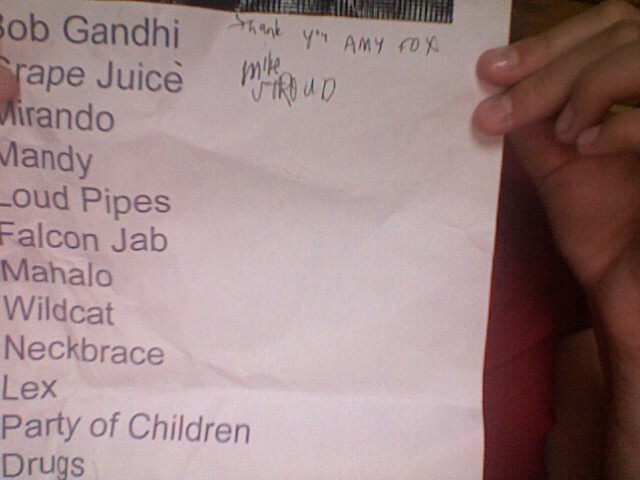 Ratatat’s is the inaugural setlist! We also got a photo with the other Ratatat guy, who was surprisingly quiet and modest despite having just executed an epic performance. On the way out, we pilfered a couple of posters that we thought would look good in the living room, but they unfortunately got hopelessly crushed in my bag during the rest of the night’s shenanigans. The autographed setlist, of course, is definitely being awarded a place of honour in our apartment. At this point, the night took a random turn. On the way out of Flex, we decided to go to Roo Bar to meet up with Milan, but the trams had stopped running by this point. Ever the problem-solver, I stuck out my thumb to a public transportation maintenance truck that happened to be passing by. The two guys actually stopped and asked where we were headed, we gave vague directions, and they told us they could give us a ride once they’d successfully acquired some Happy Noodles for the journey. Normally, I wouldn’t do anything as stupid as getting into a random maintenance truck (Hello, CSI episode), but we had Mathis with us, who is about 100 feet tall, and we also outnumbered them. And how can something as happy-sounding as Happy Noodles figure into any kind of terrible kidnapping story? So, Mathis and Mink and one of the dudes got into the back of the truck, which had a table and seats like an RV, and I got shotgun. The maintenance guys asked where we were from. Turns out, they really like Canadians or something, and we drove through the mostly empty streets of Vienna whilst yelling, “HAPPY NOODLE KANADA!” Best hitchhiking experience ever. Concert #3: Interpol @ Gasometer, TONIGHT!